Cocktails were served in the Kay Jewelers Pavilion’s Murdough Family Lobby. 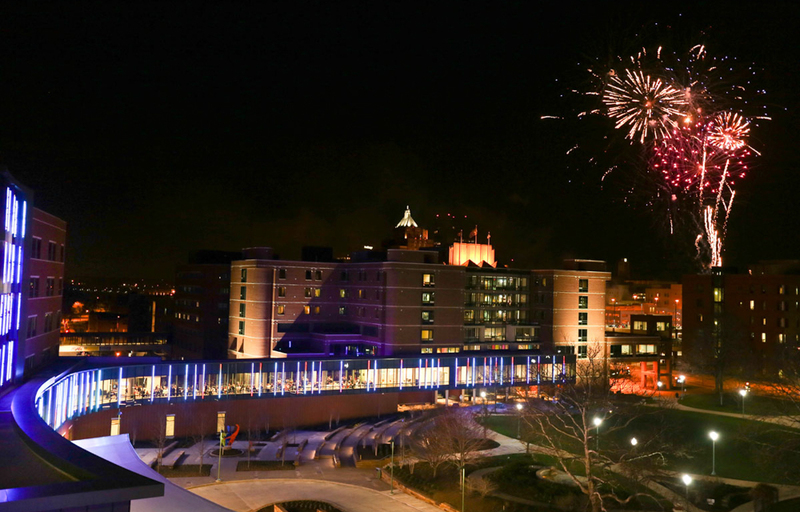 Donors took center stage during an exclusive event on April 10 to celebrate the opening of Akron Children’s Hospital’s Kay Jewelers Pavilion this spring. 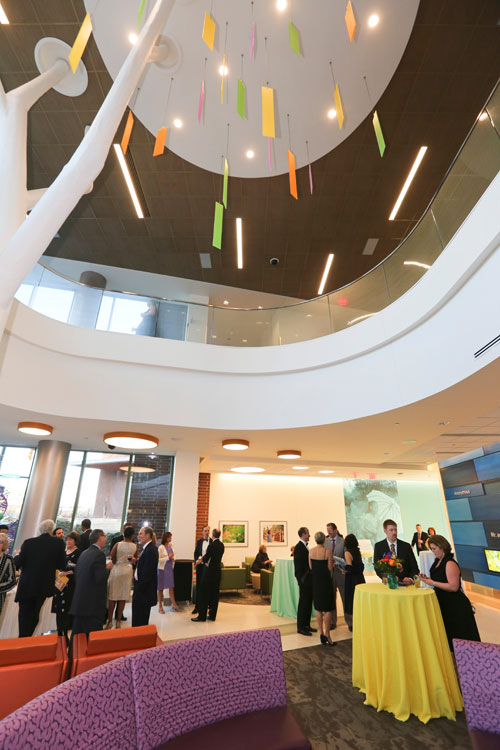 The nearly 140 donors were the first to tour the building and see the named areas made possible by philanthropy, including the Women’s Board of Akron Children’s Hospital Neonatal Intensive Care Unit, GOJO Outpatient Surgery Center and Murdough Family Lobby, to name a few. Following the tours, guests enjoyed dinner on the new connector between the main hospital and the pavilion. Since the Building on the Promise capital campaign launched in 2012, more 1,300 donors have contributed more than $42.5 million towards the $60 million goal. As a thank you gift, attendees received a copy of the video, “Extraordinary Stories & One New Beginning,” which featured donors and was shown during the dinner. The Murdough Family Lobby features interactive screens for visitors of all ages to enjoy.